3 Bedroom Terraced House For Sale in Rotherham for Guide Price £200,000. A rare opportunity has arisen to purchase this well presented, spacious three storey townhouse on Companions Close. Located in this highly sought after location set within a cul de sac. 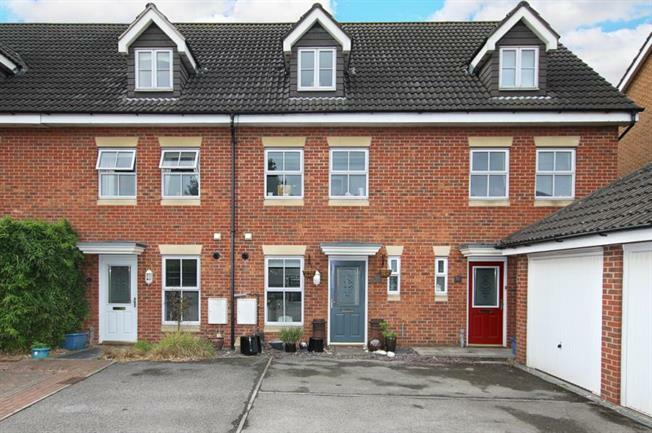 This three double bedroom townhouse gives access to local amenities, public transport and commuter links including the M1 Motorway network and the M18. In brief the property comprises of entrance hall with stairs to all floors and w.c, refitted kitchen having a range of wall and base units including appliances. Lounge opens through to conservatory with French style doors to rear enclosed decked garden. First floor landing two double bedrooms and family bathroom, second floor landing with master bedroom, dressing area and en suite shower room. Outside single garage and drive. Viewing a must.